PROSPECTIVE STUDENTS AND FAMILY MEMBERS ARE INVITED TO ATTEND A 45-MINUTE INFORMATION SESSION AND AN HOUR-LONG STUDENT-GUIDED TOUR. WE LOOK FORWARD TO MEETING YOU! * Please check the registration page to confirm availability. HIGH SCHOOL SENIORS MAY ADD THESE ENHANCEMENTS TO A CAMPUS VISIT. On-campus interviews are available for rising and high school seniors. Available for groups of 10 to 30 high school students from secondary schools and community-based organizations. Please provide one chaperon per 15 students. Pitzer does not provide food or meals for the tour. We may not be able to accommodate tour groups arriving more than 30 minutes after the scheduled tour time but are happy to re-schedule as needed. Submit request at least three weeks and up to three months in advance. A 60-minute walking tour of campus. 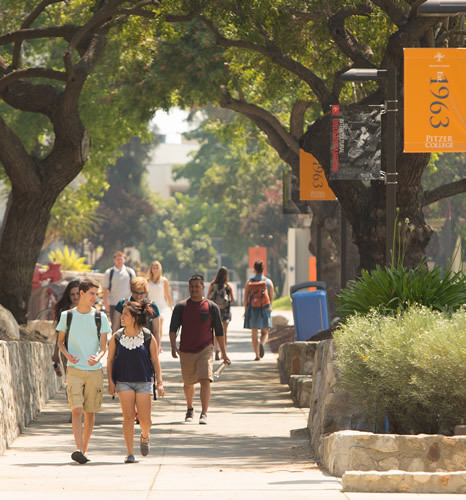 Interested in a Group Tour of the Claremont Colleges? 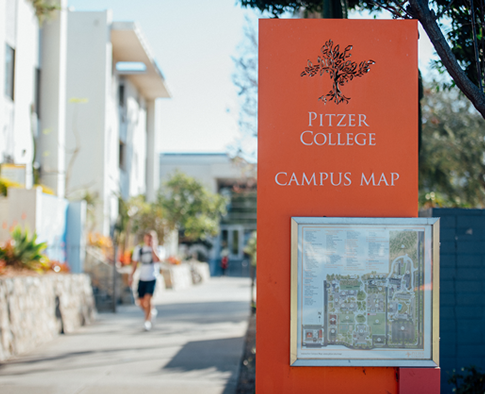 The Office of Admission is located on the first floor of Pitzer Hall. 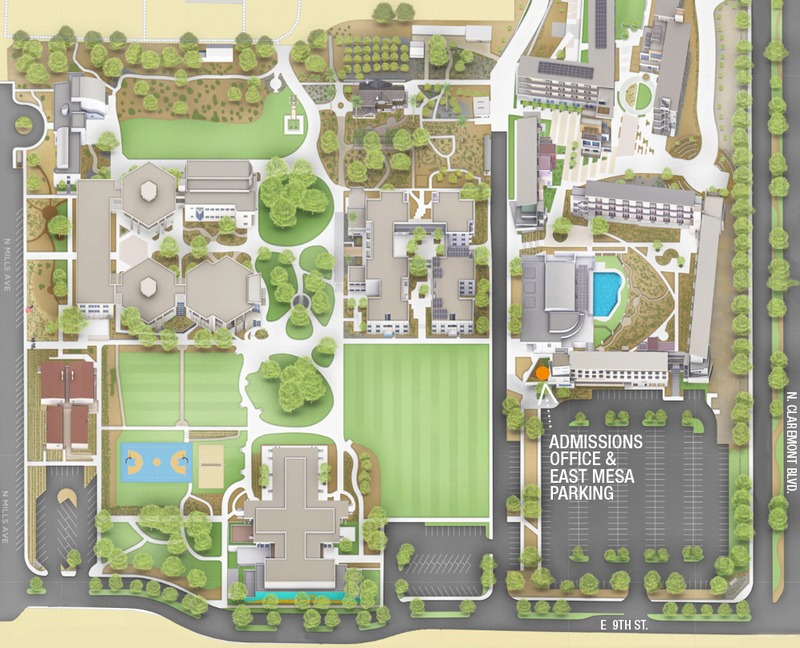 Parking is available in the East Mesa parking lot. Bringing your electric car to campus? Charging stations are available for our guests in front of the Office. Stop by the lobby of the Office of Admission for an access card. Ontario International Airport: 15 minutes from campus. Commercial shuttle service to campus is available. Los Angeles International Airport: About one hour and 15 minutes from campus (assuming minimal traffic). Commercial shuttle service to campus is available. 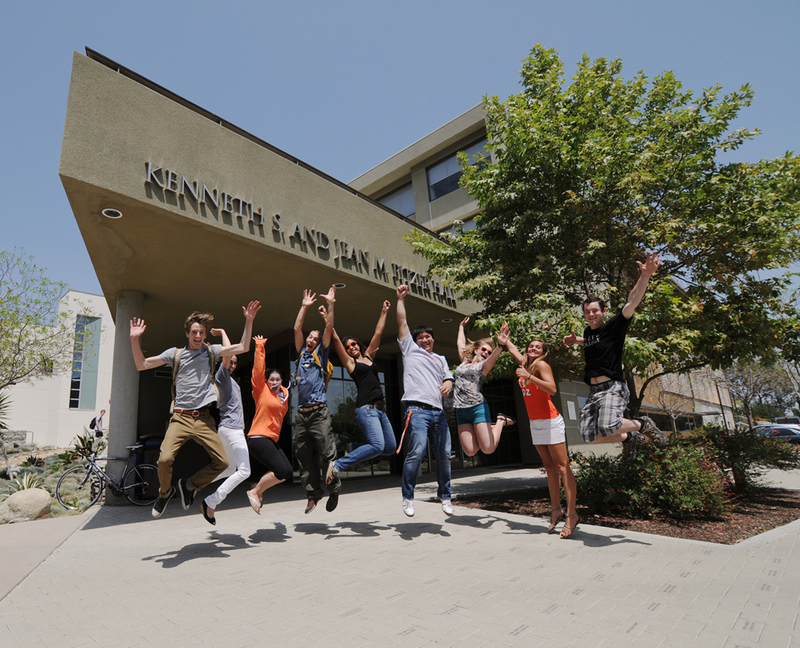 John Wayne International Airport: Approximately one hour from campus. Approximately $25 between Ontario International Airport and Pitzer College. Approximately $60 to $100 between LAX and Pitzer College. Claremont’s transit center offers commuter rail service and bus service to Union Station in downtown Los Angeles and many other Southern California destinations. An Amtrak Train station and Greyhound Bus depot are also located within a few miles of campus. CAN’T MAKE IT TO CAMPUS?